The spirit is imported from the USA (malt) and Canada (grain), but aged and blended in Japan. So strictly speaking this Blend isn't fully Japanese. 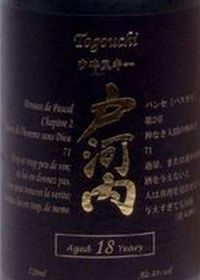 A bit more about the Togouchi can be read on japanese-whisky.com. Comment: A very smooth and clean blend without miss-notes. The distinctively Japanese finish (some aspects of it are reminiscent of some older Yoichi) is the strong point here.